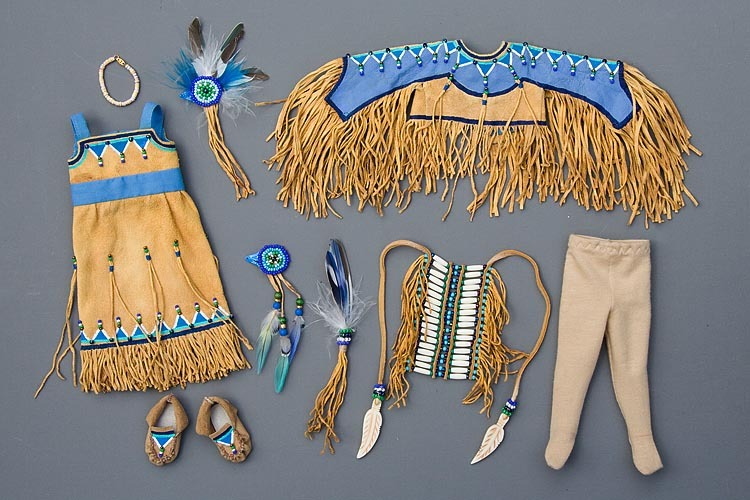 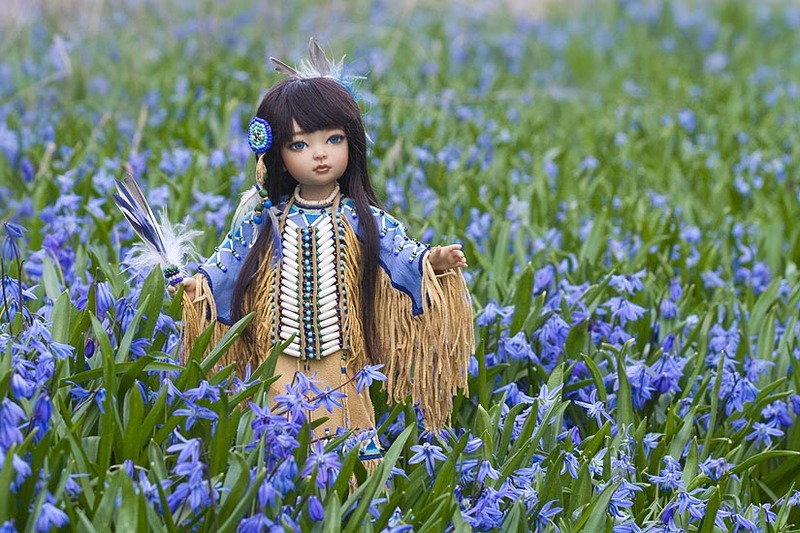 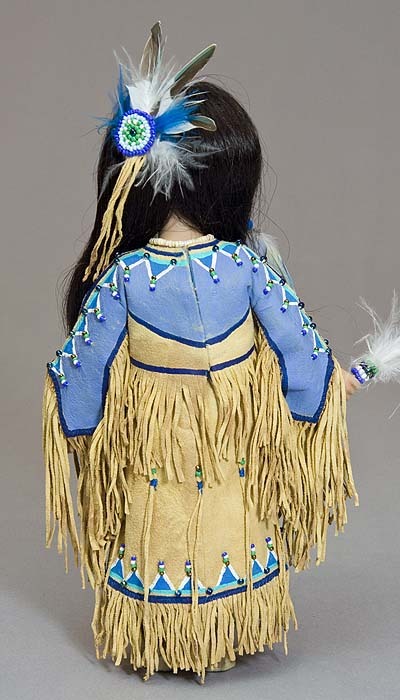 This ensemble was inspired by a traditional Cheyenne dress, and "Little Bluebird" ensemble made for Kaye Wiggs doll. 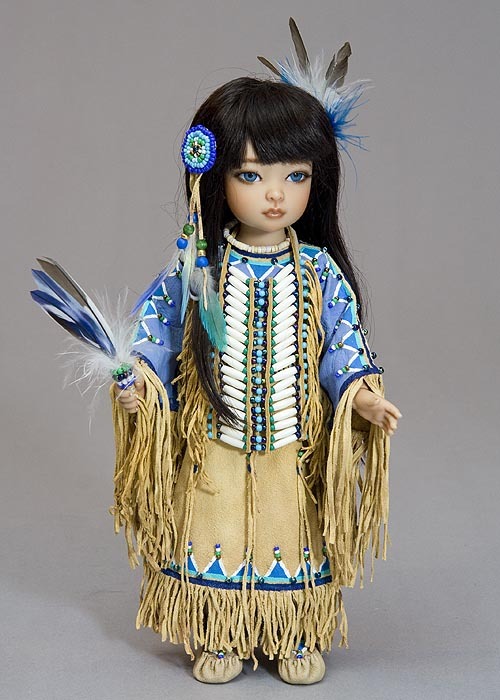 It was made specially for Iplehouse Byuri for a trip to the US southwest in the Fall of 2012. 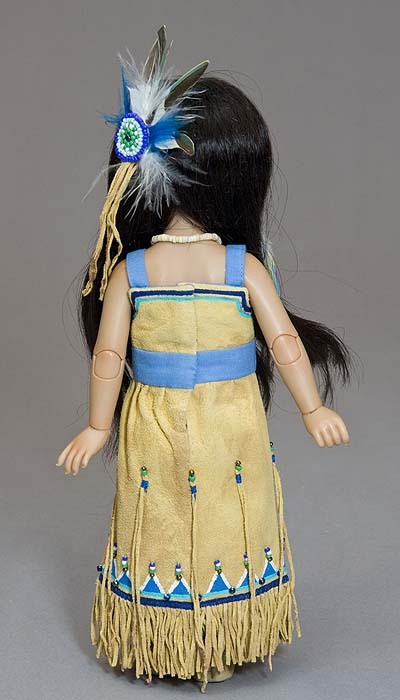 At first Byuri borrowed the necklaces from her "Little Beaver" regalia, but in April 2013 a necklace and hair-pipe breast-plate were made to complete the ensemble.